When I finished my GCSE and A-Level qualifications I was left feeling as if university was my only choice, but I didn’t know what I wanted to study. I have always had a strong interest in business, but business is such a general term that even universities have had to split it into numerous, combined degrees. So which one should I choose? Business and Marketing, as I enjoy the creative side to promoting a business? Business and Entrepreneurship, as I would love to run my own business? Business and Management, as it has been an aspiration of mine to hold a management role in a business? The choices seemed endless. This whirlpool of information was washed around me non-stop as I completed my A-Level equivalencies. I honestly felt that I did not have enough guidance from school and that it was more that they just wanted to ship everyone to university to boost their numbers. Then a representative from NAS (National Apprentice Service) came to my 6th Form to discuss the other options we have apart from going to university. This talk changed how I saw the path to building a successful career in that I wanted to work my way up in an organisation whilst learning at the same time. 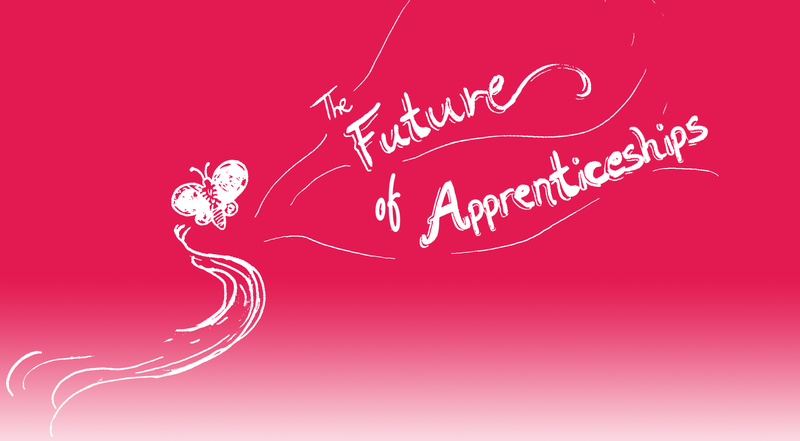 It is hard finding the right apprenticeship for you. For me, I trawled through hundreds of applications on numerous different websites. I was left stuck when all I seemed to have to choose from were Level 3 qualifications, which were on the same level as those I had already completed at 6th Form. So what did I do? Did I apply and potentially waste a year or two of my life studying something I already knew? That was when I saw the application for Investors in People, which offered a Level 4 qualification and a foundation degree — the only placement I had found to offer such high level qualifications. I felt apprehensive applying for this role, as I was sure that I would be competing with others with higher level qualifications than myself. I was left thinking that I didn’t have a hope of obtaining it, but my three distinction star (A*) grades in my diplomas saw me through. Believe me when I was offered it a few weeks later I snatched at it with both hands! I have now been working at Investors in People for just over nine weeks and in that time I have been given the task to review and restructure the merchandising model we use — a task I never would have dreamed of starting out as an administration apprentice! I am also being used as the Project Officer in our overall IIP Team Project which means that I am overseeing progress and obtaining regular updates on how each team member is progressing on their individual tasks. I have also completed the APM Introductory Certificate in Project Management. I have thrived in the role and thoroughly enjoyed it. I will soon be attending the PRINCE2 qualification course, which I’m looking forward to a lot. Working at Investors in People has certainly opened my eyes as to where I want to go in the future, which I now believe to be down the project management route. The advice I would give to young people just leaving school or college is that there are so many more options than university, so don’t feel like it’s your only choice. Everyone thinks that going to university will make you stand out more in an interview, but in my view that is totally wrong in the current economic climate. Having three years’ experience is just as valuable, if not more, than having three years of knowledge under your belt, not to mention the small matter of the £30,000 worth of student loans! Unless you need a degree for your career (like being a Doctor, Vet or a Lawyer) then you should really consider all your options, as there could be a better route to get where you want to be.